These were on sale so I splurged, but then ran out of energy for a fancy meal. This recipe worked great and took no time! Preheat the oven to broil. 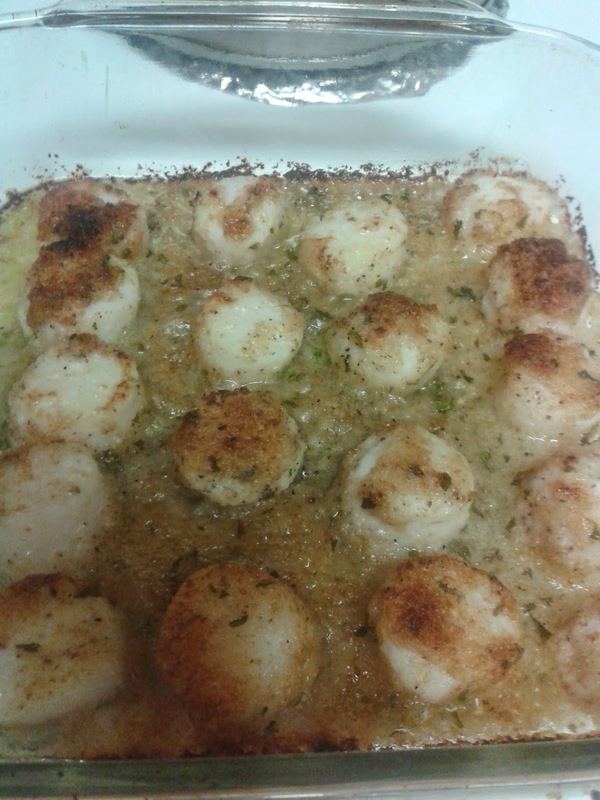 Wash and drain the scallops and place in an oven- proof pan. Thinly slice the butter and place on top of scallops. Sprinkle with bread crumbs. Season to taste with salt and pepper and gently pour the wine around the edge of the pan. Broil for 10-12 minutes, until the scallops are opaque. Serve hot. Serves 2. I love sea scallops. But my suggestion would be to use Ritz crackers instead of the bread crumbs. It's really surprising how much that little change boosts this dish.